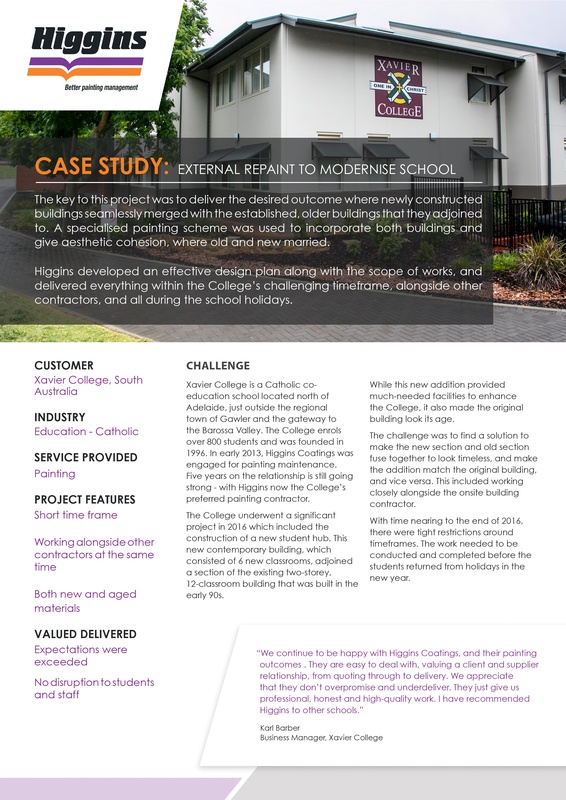 Higgins developed an effective design plan and delivered everything within Xavier College’s challenging timeframe, alongside other contractors, and all during the school holidays. 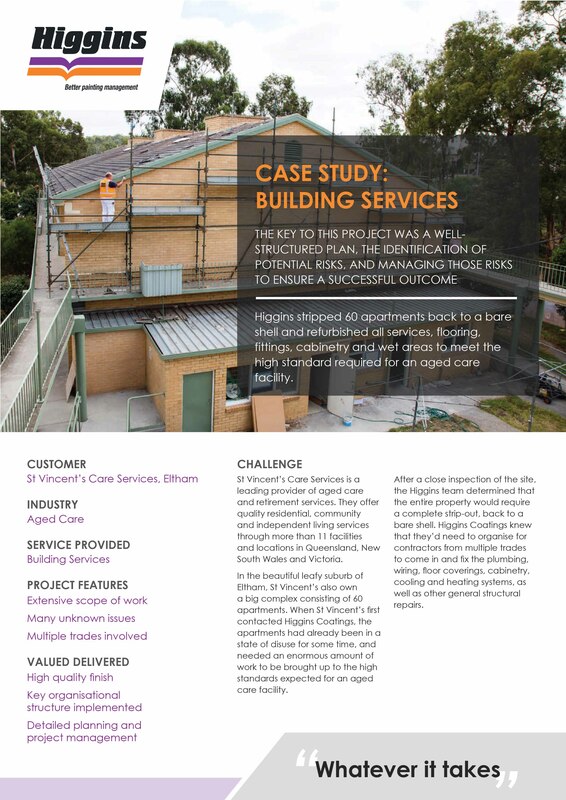 Higgins stripped 60 apartments back to a bare shell and refurbished all services, flooring, fittings, cabinetry and wet areas to meet the high standard required for an aged care facility. 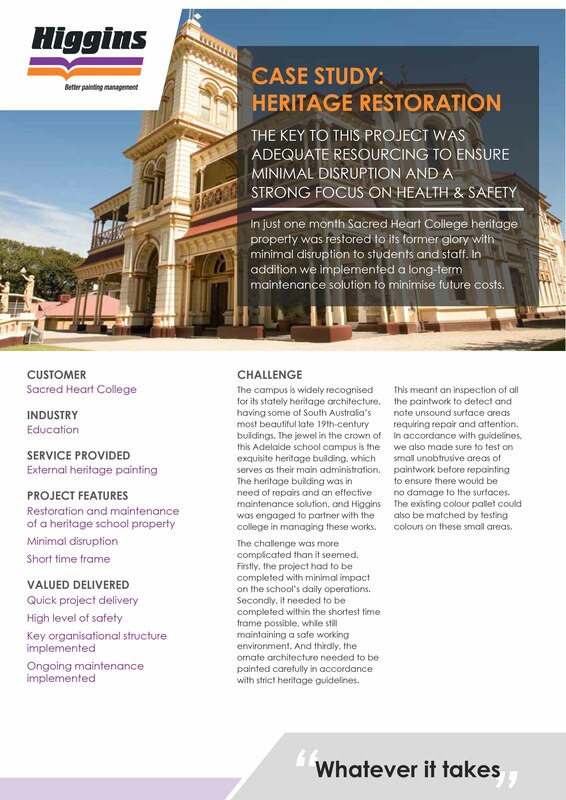 In just one month Sacred Heart College's heritage building was restored with minimal disruption to students and staff. In addition we implemented a long-term maintenance solution to minimise future costs. 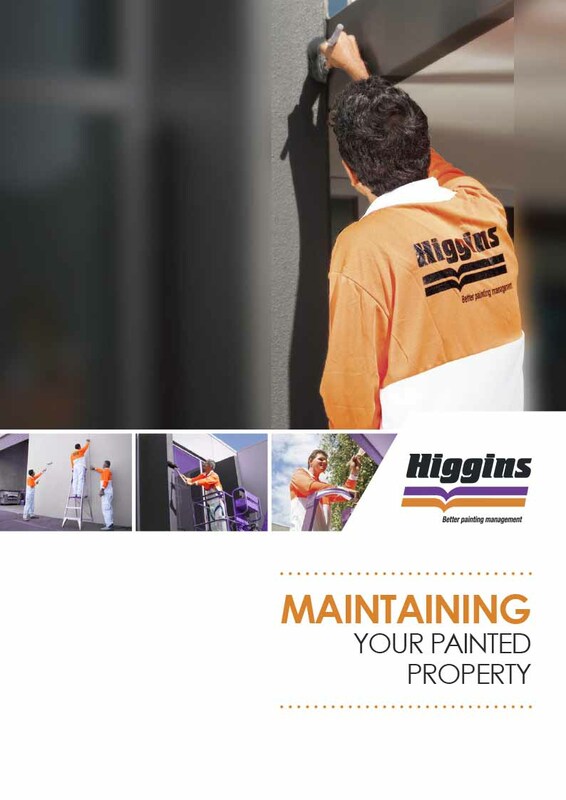 In the first year, Higgins Coatings surpassed the school’s expectations by implementing a team of 20 painters and successfully completing an extensive amount of work within an extremely tight timeframe. 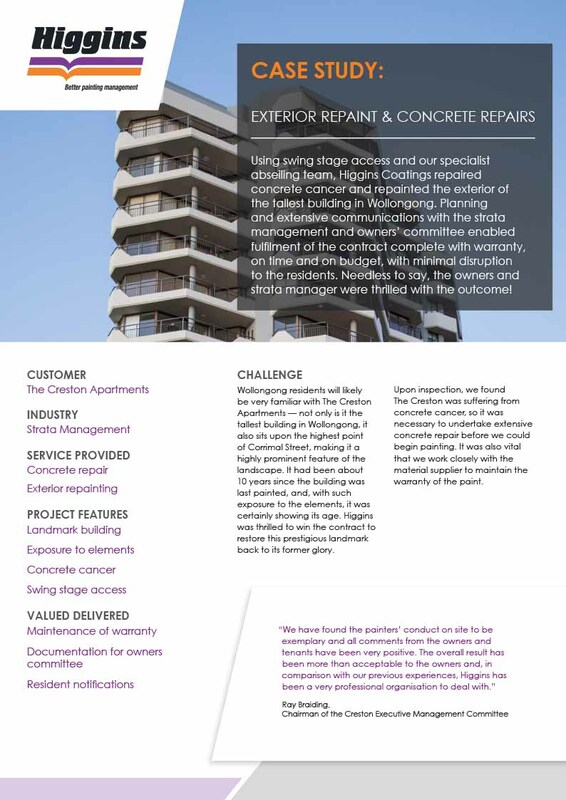 Using swing stage access and our specialist abseiling team, Higgins Coatings repaired concrete cancer and repainted the exterior of the tallest building in Wollongong. 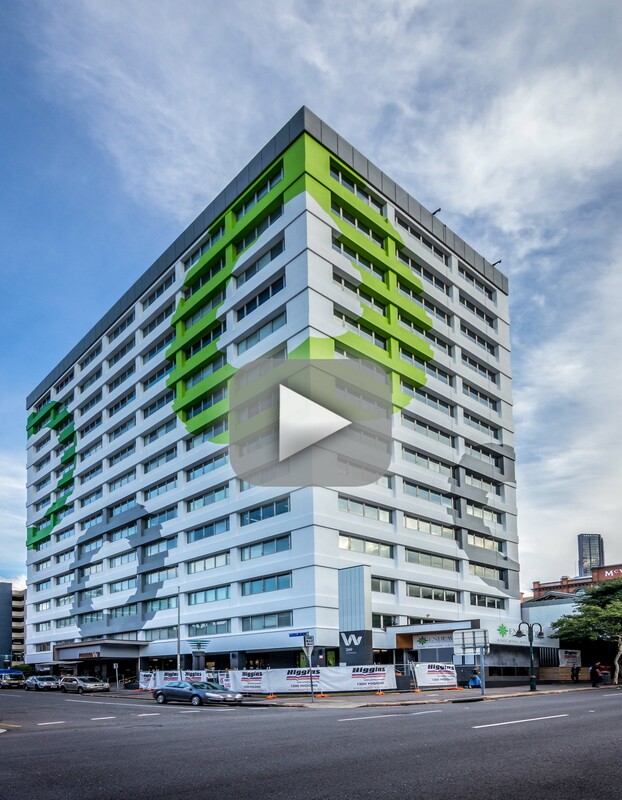 With a complex design to be applied for an external repaint, our Brisbane crew successfully completed this project via swing stage and abseil access. Safety was key with heavy pedestrian access below the building elevations. Continuing our ongoing relationship with the National Gallery of Victoria, Higgins completed the demolition of the current exhibition, before rebuilding and painting the spaces in preparation for the next exhibition "Masterpieces from the Hermitage". 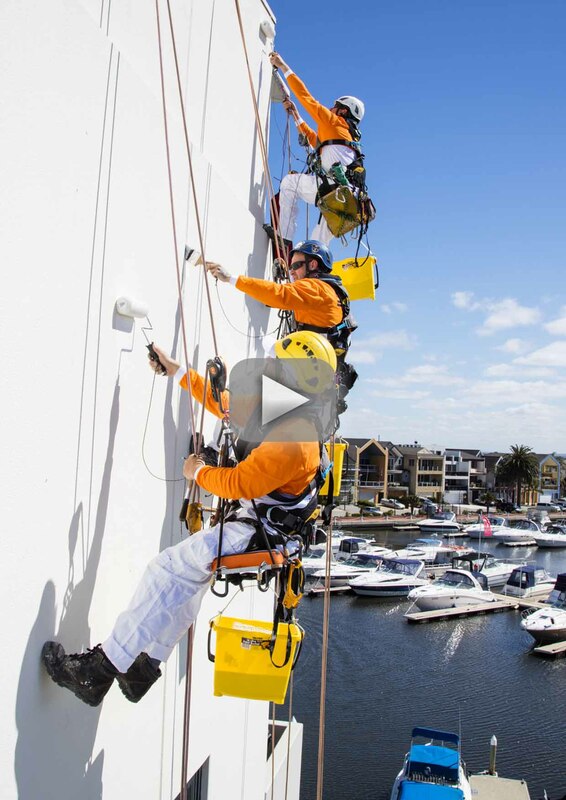 A staggering 2,045 litres of paint and 3,500 painting hours were required to complete a repaint job at an apartment complex and marina in Patterson Lakes, Victoria; 2,400 hours were completed by a professional abseiling team. 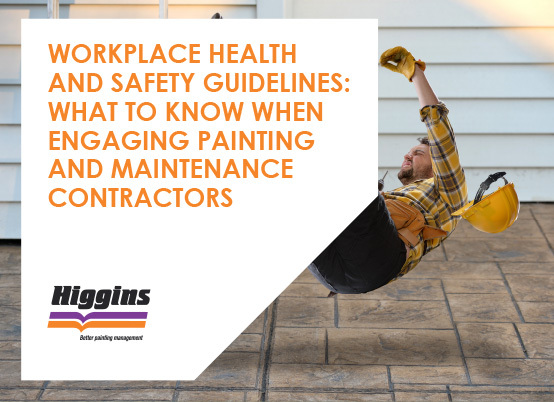 Whether you’re already working with a painting and maintenance contractor or want to evaluate your choice of provider, this guide takes you through your WHS obligations, important information to provide your contractors on your WHS policies and expectations and red flags to help you spot the corner-cutters. 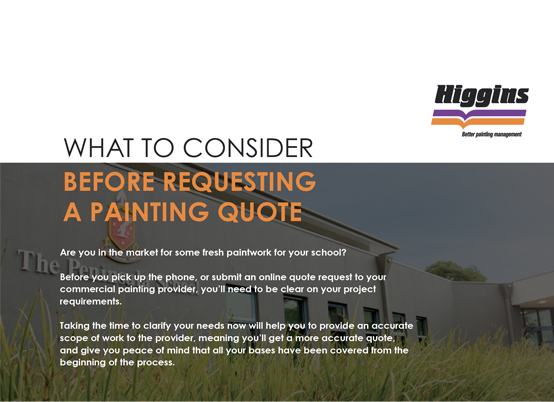 Starting to shop around for quotes to re-paint your school building? Don't waste your time. This template will make sure the jobs done right the first time! 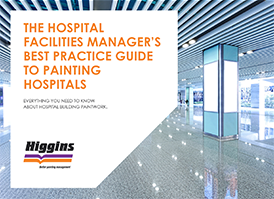 Undergoing hospital building paintwork is one of the most expensive and stressful jobs a hospital facilities manager has. It's a big job – and a vital one. Learn how to finish the job on time, within budget and without incident in this guide. Painting your strata property is one of the most expensive and stressful jobs for a strata manager. With so many stakeholders to manage, budgets to balance and a highly visible outcome, strata managers need all the help they can get to make this project a complete success. We’ve made it easy for you to keep your paintwork looking fresh for longer with this handy guide. 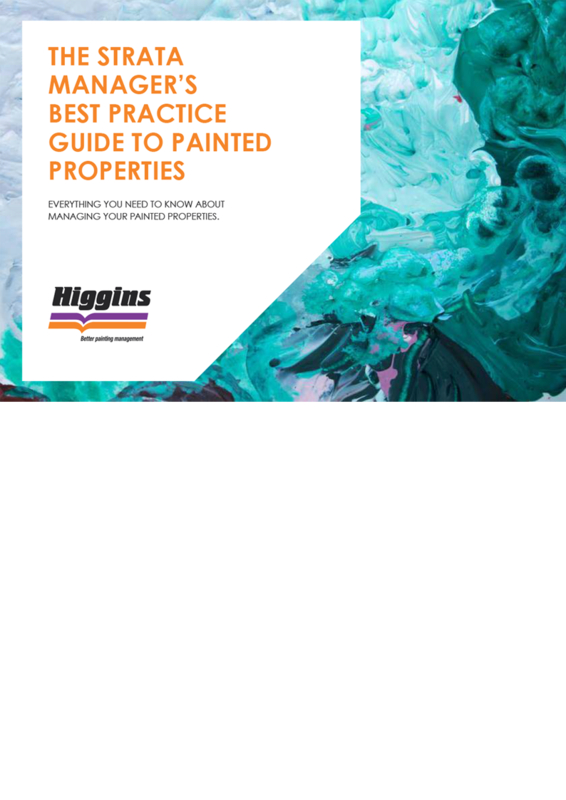 Our simple tips will explain how to care for your paintwork and extend the life of your property. 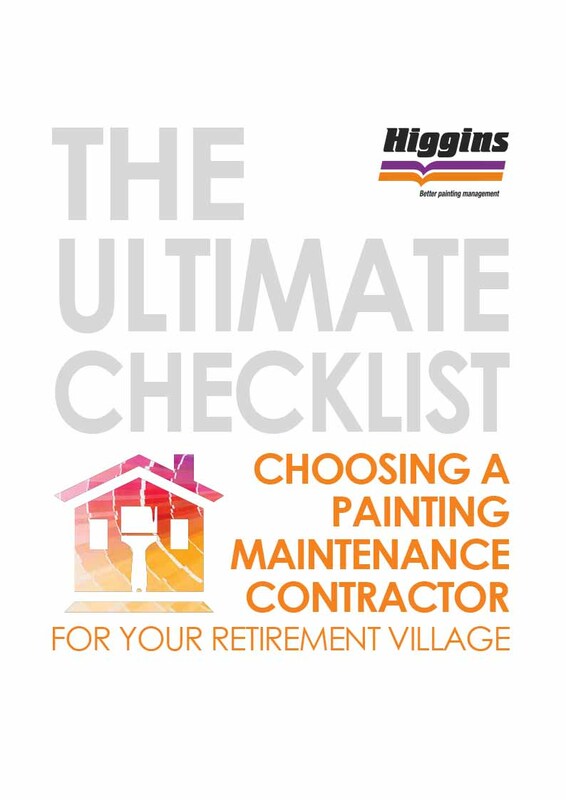 Find out how in Maintaining Your Painted Property. Schools have many moving parts that need constant attention and oversight. 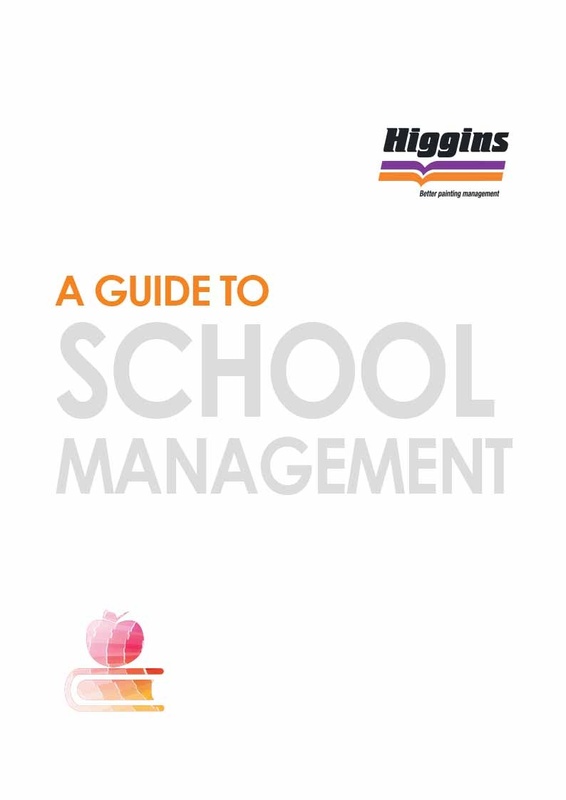 Only with thorough preparation can school management successfully deliver the needs of its students and staff. Download this guide to help plan and co-ordinate the various aspects involved in overseeing a successful year. Get everything a strata manager needs to know about running a successful AGM. If you want your next AGM to be a breeze, this guide is for you. 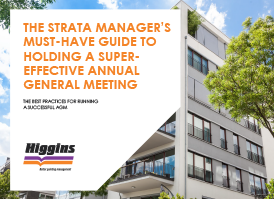 Download our guide, The Strata Manager’s must-have guide to holding a super-effective annual general meeting, today! Along with the quality of living and facilities, property condition is an important factor for people deciding where spend their retirement. Thus building maintenance is paramount to helping achieve and maintain optimal living standards. Statistics indicated that there will be an increase in demand for suitable housing solutions for senior citizens over the next few decades. 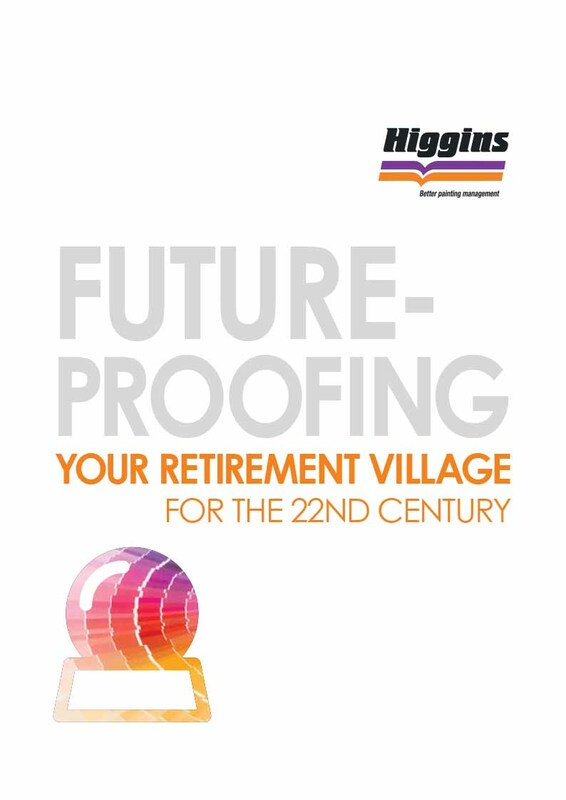 Thus it’s important to think futuristically about the facilities and services that your retirement village will need to offer potential residents. The increased global demand for sustainable building products and innovations means that green buildings are becoming increasingly affordable. 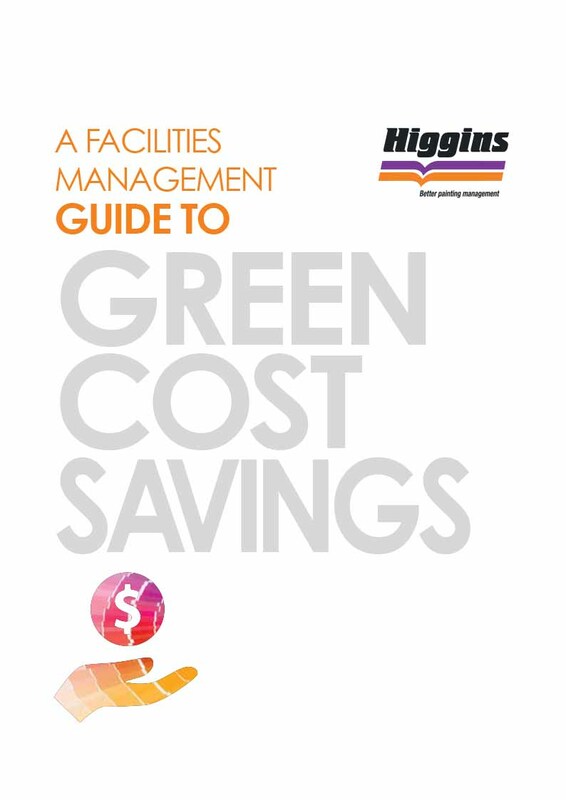 But what does it mean to ‘go green’ and is it financially viable to introduce green practices into the design, construction and maintenance of your buildings?